The Calvin Klein brand has a legacy of minimal, effortless cool, but how do you translate those ideals into modern cosmetics? Focusing on authentic beauty and vibrant color, the ck one color collection, pushes the mega-brand into bold new territory. With three of the industry’s most in demand makeup talents; Jodie Boland, Hung Vanngo and Kristi Matamoros, serving as official representatives, the line offers a fresh perspective and a slew of must have products. MDC caught up with the three beauty innovators behind the brand to find out tips, tricks and which beauty icons inspired their work. MDC: What would you say are the essential products within the line? Jodie Boland : My favorite would have to be the ck one 3-in-1 face makeup because it has primer, serum and face makeup all in one. I haven’t experienced anything like it before. It feels like silk; it’s weightless and it feels like you’re wearing nothing. The ck one mascara is also a great product with 6 fabulous shades. It’s genius how it has a twist cap, so you can define or volumize the lashes from day to night. Another essential product is the ck one powder eyeshadow quad with amazing range of colors in 8 different shades. I love them because they have great pigmentation and you can go from a matte intense look to a gorgeous pearlized finish. Hung Vanngo: I have so many favorite products within the ck one color cosmetics line, however some of my most essential products are : ck one 3-in-1 face makeup, ck one airlight press powder, ck one mascara, ck one liquid eyeliner marker, ck one gloss eyecolor, ck one pure color lipstick, and ck one lipgloss. 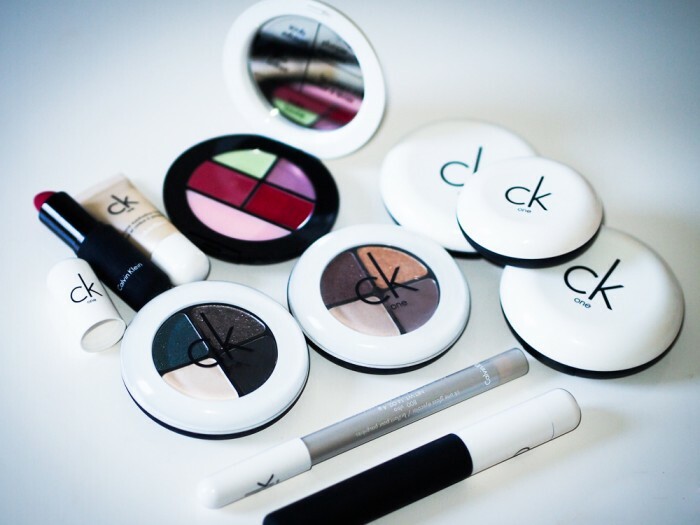 Kristi Matamoros : I absolutely love the ck one 3-in-1 face makeup. I can’t live without it! The coverage and texture are amazing. At the same time it’s practically weightless and lets your skin retain its natural texture. I also love the ck one brow pencil + gel duo because I love a full defined brow. This product is great because the two-in-one applicator comes with an angled pencil which makes it easier to draw the shape and a brow gel to keep pesky hairs in place. The ck one mascara, in show, is another essential product because with a twist of the cap, the adjustable brush can either define or volumize the lashes to a full glam. It is the simplest way to look finished and to give definition to your eyes. Another amazing product within the line is the ck one color + treat lip kit. It’s great because you can either give yourself a glam look with the lip color or a sheer and understated look with the balm and the lipgloss. MDC: The line is very young and cutting edge, how does that mesh with your own aesthetic when it comes to makeup? Jodie Boland: Everyone loves the young healthy, fresh glowing skin and with the type of makeup that I do, it fits in line with the brand, but then of course, you can add intensity or define your special features. 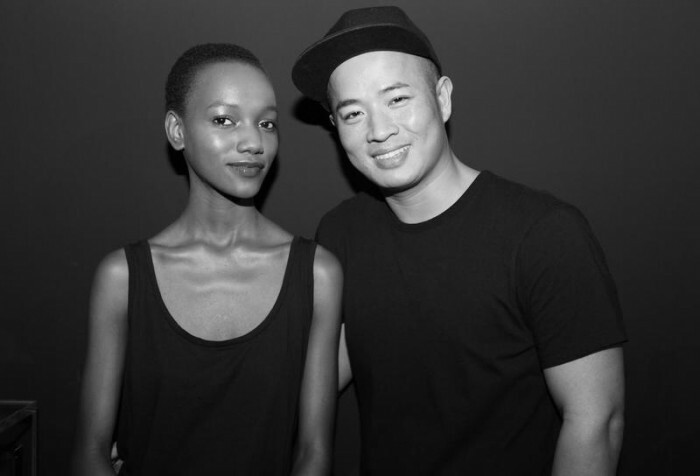 Hung Vanngo: ck one color cosmetics embraces individualism and natural beauty. It is all about being authentic, confident and cool. Which is exactly what I also believe in as well. When I do a face, no matter how simple the look or how dramatic, my philosophy is you should always still be able to recognize the real beauty behind the makeup. And it is a perfect match with ck one color cosmetics’s philosophy. Kristi Matamoros: I really feel that makeup is an accessory and not just to cover up things we want to fix. It’s something to have fun with, to enhance or to create a character for who we want to be. I couldn’t ask to be part of a brand more suited to me than ck one color. It’s exactly how I envision make-up to be. The idea of the three segments, “Look Real” “Define Yourself” and “Add Intensity” is how I create looks for any of the projects I work on. I always start by perfecting the skin texture and evenness. Then I move on to defining other aspects of the face, and lastly give finishing touches with either a red lip or a smoky eye. Kristi Matamoros working on a beauty backstage at Calvin. MDC: What would you say is the quintessential CK look? Jodie Boland : Fresh face, glowing skin for all ages and genders. It’s about having confidence, it’s cool and it’s authentic. Hung Vanngo: Beautiful, natural looking skin with a pop of color to enhance your favorite face feature. Kristi Matamoros: For me it would definitely be super clean skin, defined eyebrows, smudgy black eyes and bare lips. MDC: What do you think is the biggest mistake people make when it comes to makeup? Jodie Boland: Not blending their makeup and using the wrong shade of foundation. Hung Vanngo: They should use makeup to enhance their natural features instead of trying to change them. And less is more. Kristi Matamoros: Putting on too much foundation and concealer. I see it all the time. In the end everything you’re trying to cover up stands out even more. The cosmetics and their sleek Fabien Baron designed packaging. MDC: Who are some of your beauty inspirations? 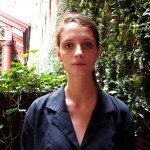 Jodie Boland: I love looks from the 20’s – 60’s. Definitely Grace Kelly and Audrey Hepburn. In this era it would be models Kate Moss, Lara Stone, Ruby Aldridge and Eliza Cummings, who have all been featured in the ck one campaign. Hung Vanngo: My mom has always inspired me. She wears very little makeup but chooses one feature to enhance and show off beautifully. I also love to look at paintings of faces. All the different facial features really fascinate me. Kristi Matamoros: I really love Francoise Hardy. She has a perfect blend of femininity with a tomboy characteristic. where do I begin. Serious work only, please.